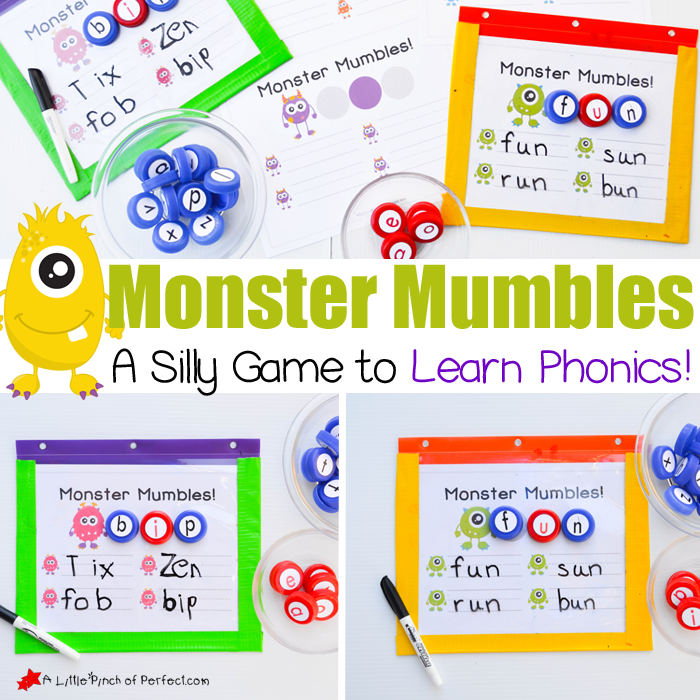 Monster Mumbles Phonics Game and Free Printable to Make Learning Fun! 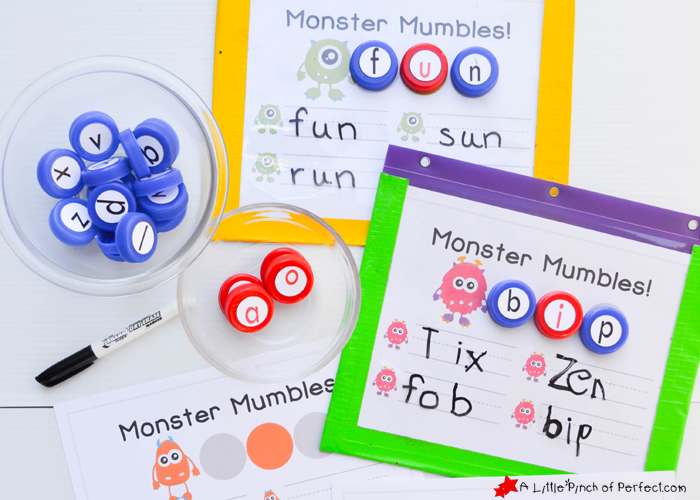 Our Monster Themed language game takes the pressure off young kids to make learning phonics fun because these silly monsters can say just about anything–no right or wrong answer! Not ready for phonics?–use them to name letters instead. Ready to spell?–use them to practice CVC words. The monster themed mats have 3 spots for letters. The center spot is highlighted for those who want to practice cvc words. At the bottom of each mat there is also a place to write down all the crazy things the monster says because I guarantee your kiddo is going to want to say them over and over again! Little Tiger loves this activity and giggles all through it. I separate the consonants and vowels and have her close her eyes when she is selecting her letters. She gets excited when the monster says a real word and when the monster has a new make believe word to exclaim–one of her favorites is BIP! 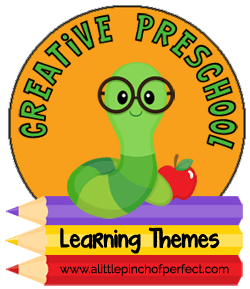 This post is part of the Creative Preschool monthly challenge. Make sure to check out the activities at the bottom of this post for some more monster fun! 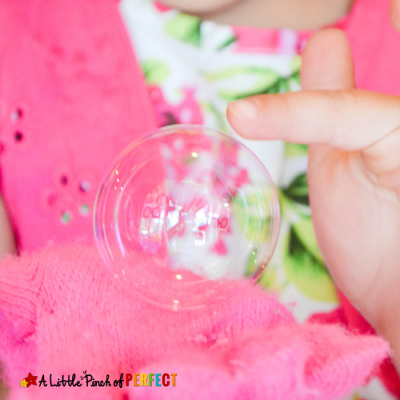 Have child pick out 3 letters and place them on the mat, point to each letter and make the sound the letter says, and then create a word from the phonics sounds (for example: p-i-f becomes p-if and then pif) This is a great way for kids to learn how to string together sounds. 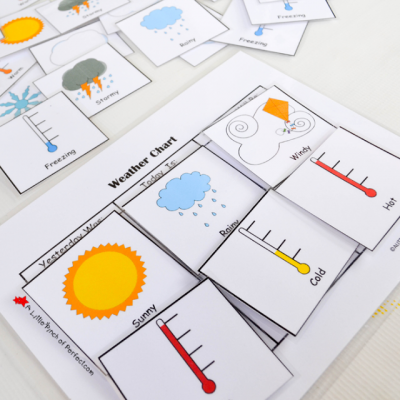 To practice cvc words have the child pick out two consonants and one vowel and place them on the mat with the vowel in the middle, and then create a word from the phonics sounds (for example: f-a-t becomes f-at and then fat). Or ask child to spell a cvc word and place the letters on the mat. Place the vowel and second consonants on the mat and leave them there throughout the game. Have child select a consonant and place it on the first spot on the mat and sound out the word. Thanks for playing with us today! Please click here to sign up for our weekly newsletter and follow us on Facebook, Pinterest, Twitter, and Youtube. 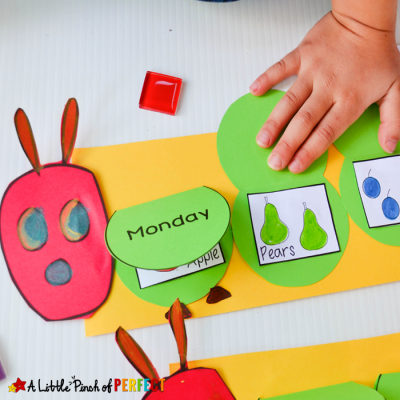 This is the perfect activity for my preschooler who has been wanting to make words! I adore this!! We are at that point of working on phonics and this is just perfect! 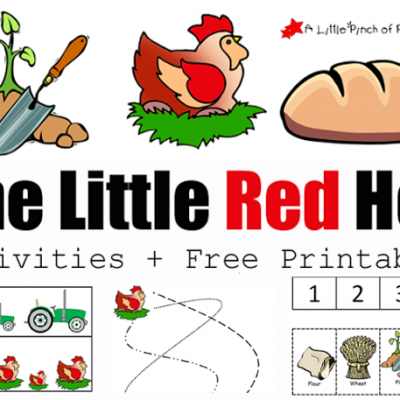 I can't wait to get it printed out and use it with my preschooler! 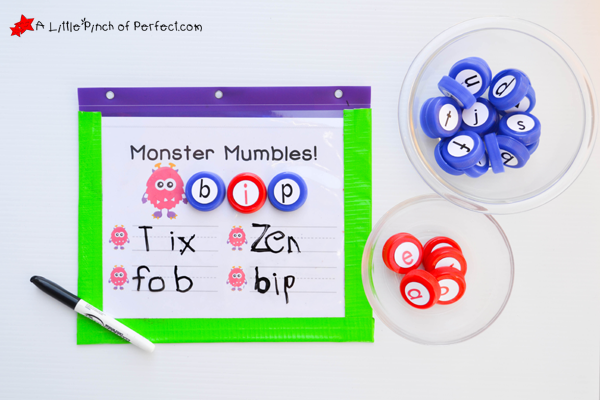 Such a cute set of printable to make phonics easier. My daughter would love this! Thanks for sharing. 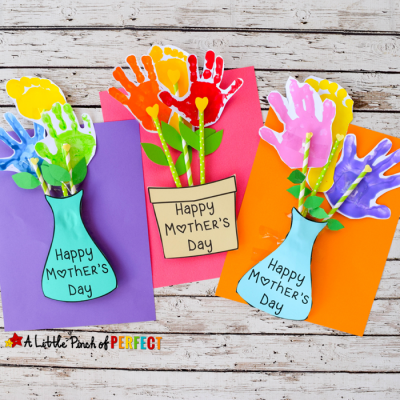 Monsters and silliness – yep, my daughter would love it, too! This looks like such a fun activity. 🙂 Love that learning can be fun too!